The line for Volcano Tea often goes out the door, but no fear, the queue moves quickly and the wait will give you time to decide between strawberry milk tea boba ($3.25) and almond milk tea ($3.45). 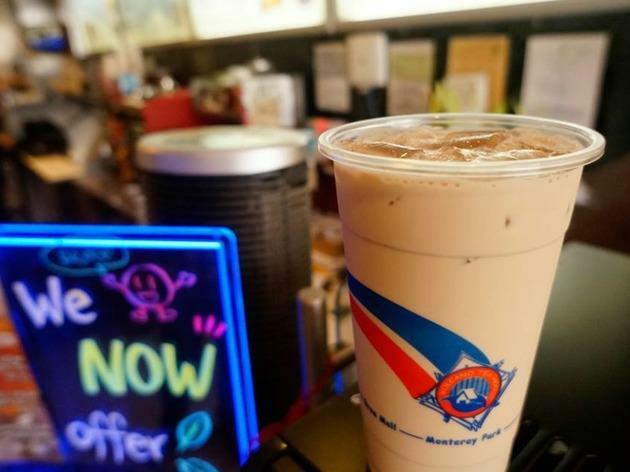 We recommend the good ol' fashioned milk tea ($2.95) with spicy fried chicken ($4.50). 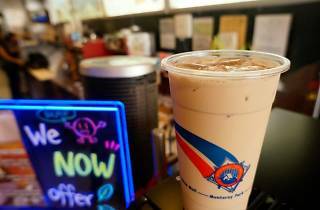 Their boba is chewy and has a pleasant toffee after taste. Take your drinks to-go and wander down Sawtelle to work up appetite for a second dinner.